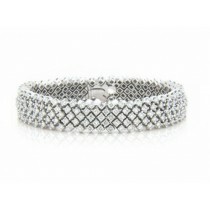 Experience the enchantment of fine jewelry bracelets that offer superb sparkle. Give one to yourself or surprise someone you love. 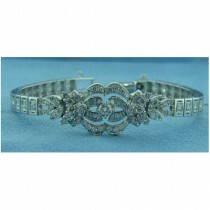 Our magnificent collection of fine jewelry bracelets for women includes delicate diamond tennis bracelets, double-row diamond bracelets, diamond and sapphire bracelets, diamond and emerald bracelets, and more. 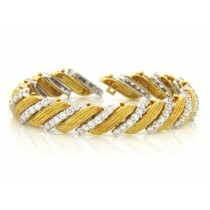 Wrap your wrist in the shimmer of platinum, white gold, or yellow gold. 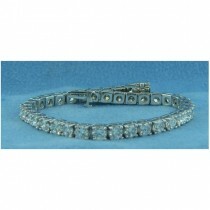 We have the diamond bracelets and jewelry for every style and occasion. 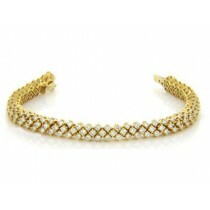 You can enjoy wearing luxurious bracelets of exceptional quality when you discover the fair pricing at A. Fishman & Son. Surround your wrist with more than 100 round-shaped diamonds, or choose an alternating pattern of round and baguette diamonds. 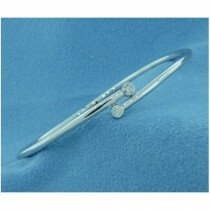 Discover the beautiful simplicity of a white gold diamond bracelet which we can customize for your wrist. 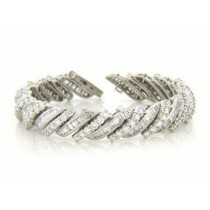 You won’t find cookie cutter construction on our jewelry site. 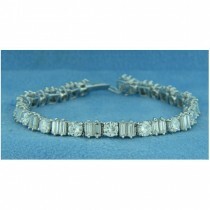 If you’re unsure where to buy bracelets, consider our sterling reputation in crafting engagement rings, diamond wedding rings and bracelets with incomparable beauty and quality. 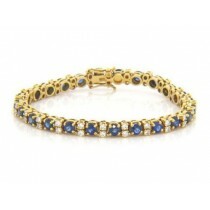 Exquisitely crafted luxury bracelets for women from A. Fishman & Son are difficult to resist. 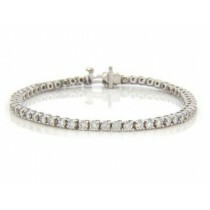 So why not place our fabulous sparkle on your wrist? Browse a collection that reflects an elegant, refined style. 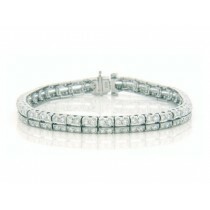 Wear bracelets with incredible diamonds or combinations of diamonds and vibrantly colored gemstones. 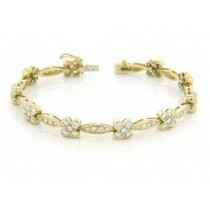 We create fine quality bracelets that feature superior workmanship and alluring designs. 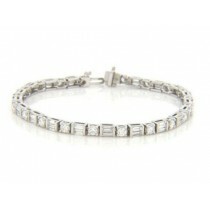 Pair our diamond bracelets with gorgeous diamond earrings for a striking look. 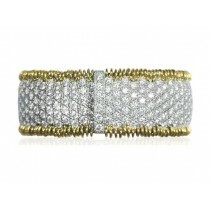 The women’s luxury diamond bracelets from A. Fishman & Son are awe inspiring pieces that glisten glamorously for a lifetime. 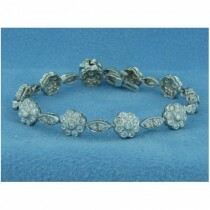 Contact us, and we’ll help you with your diamond, gemstone, and precious metal decisions today.